Discover the many benefits of owning a Swim and Exercise Pool. 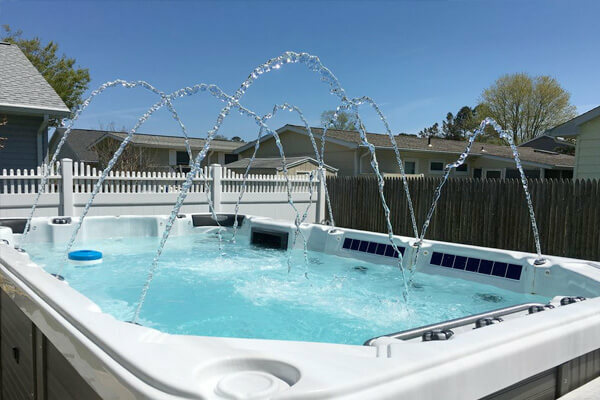 Swim spas come in any sizes and offer many standard and optional features to help you get the most out of your workout, family fun in the sun time or relaxing evening soak. We carry both the top-of-the-line Tidal Fit and Catalina Swim Spas. Catalina Swim Spas provide all the benefits and functions of a full-sized pool and spa at a fraction of the cost. Less space, less water, less chemicals, less energy to heat.